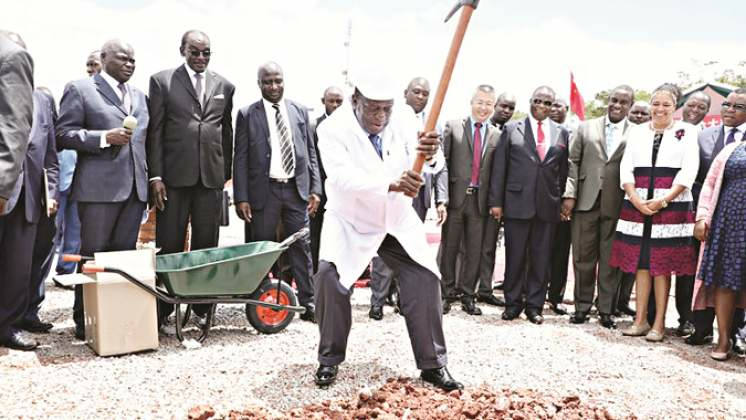 On Friday President Mnangagwa 'broke ground' for a new parliament building. Coming a time when Zimbabwe is in economic meltdown it shows a bizarre choice of priorities. Mnangagwa will protest that China is paying for this white elephant but it will be naïve to think it will not come at a price. And, anyway, is it necessary? If the current building is too small why not reduce the number of parliamentarians? This is what the UK is doing. Apparently 350 legislators are too many to be accommodated by the current parliament in the heart of the capital. So now we are to have 650-seater at Mount Hamden, nearly 20 kilometres north west of Harare. When will the government get the message that Zimbabwe is broke? Out of the blue it was announced that the state is to build a luxurious new home in Borrowdale for Mnangagwa. It is not as if he is short of places to lay his head. After all he is one of the richest men in Zimbabwe. And how much is it costing the state to hire luxurious aircraft from abroad to fly him off on his insatiable travels? Just because Mugabe did it it is no reason for him to follow suit. Public anger at the state of the economy was evident on Thursday when thousands turned out in Harare for a demonstration called by the MDC, which accused Mnangagwa of a 'cocktail of lies'. It said he had broken countless promises – from promising that bank queues would disappear in less that 100 days to promising to create tens of thousands of jobs as foreign investment flooded in. MDC leader Nelson Chamisa and Alliance Vice Chairman Tendai Biti called for a political dialogue with President Mnangagwa to end the economic turmoil. Speaking at the Commission of Inquiry into the post-election army shootings in Harare, they said the political crisis was suffocating the ordinary citizen and a dialogue was needed to move the country forward. A spanking new parliament building at this time is a folly but a refusal to talk to the opposition would be an even bigger one.